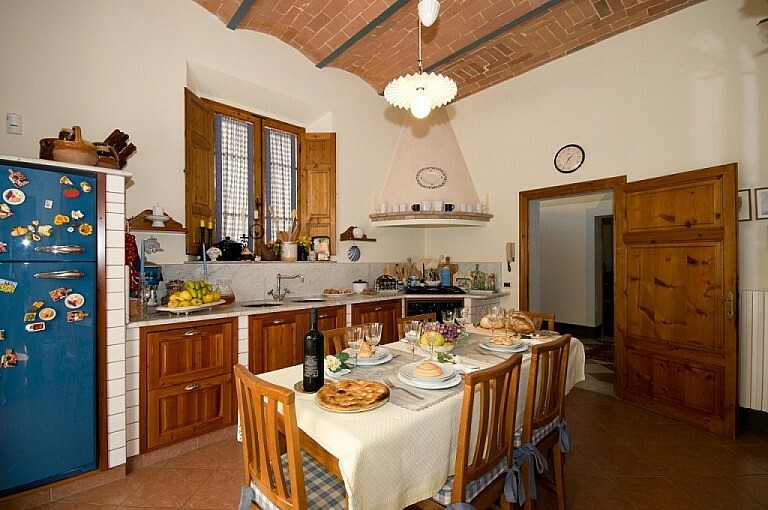 Villa Angelina is a wonderful town villa at the entrance of a typical small Tuscan village with 5 very picturesque double bedrooms for a group of 10 up to 13 people. 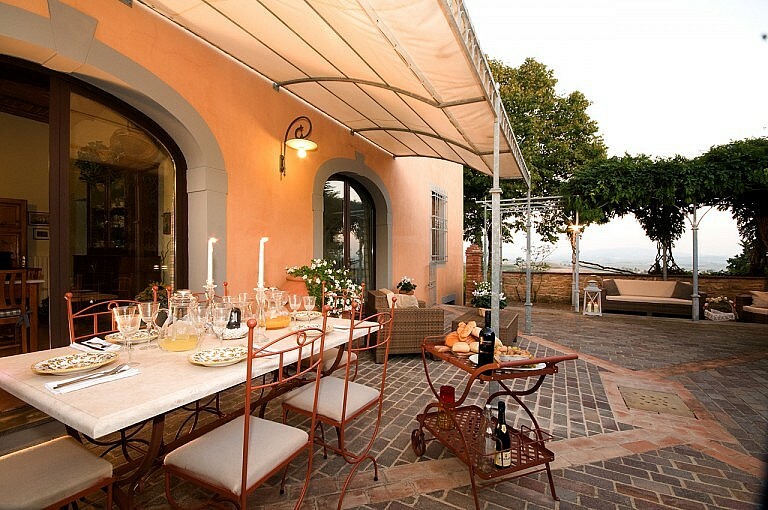 The XIX century Liberty style villa is in a spectacular location with a unique view over the green hills of Volterra. 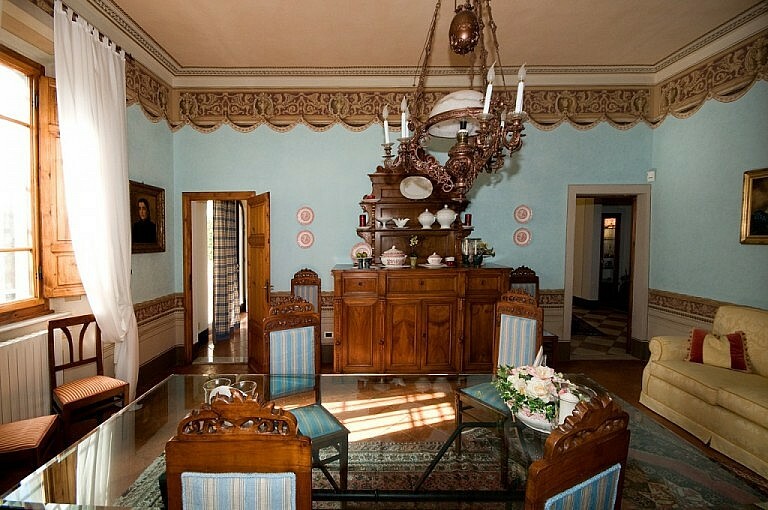 A careful restoration of the premises and the original equipments allowed the perfect recovery of the atmosphere of centuries ago. Nowadays the villas blends the fascination and the elegance of the old finishings with the comfort and technology of our times. The house develops on three levels on a surface of 400 sq mts and one of its sides faces directly the main road of the village. At the ground floor is a fully equipped kitchen (oven, dishwasher, store room), an elegant living room with fireplace and sat TV, a large and comfortable dining room, one twin bedroom (which can be turned into a double) and a bathroom with shower. The first floor hosts one master bedroom with tester bed, three further bedrooms (one double and two twin bedrooms), one large bathroom with elegant tub and one bathroom with shower. Up to 3 extra beds can be added in the rooms. 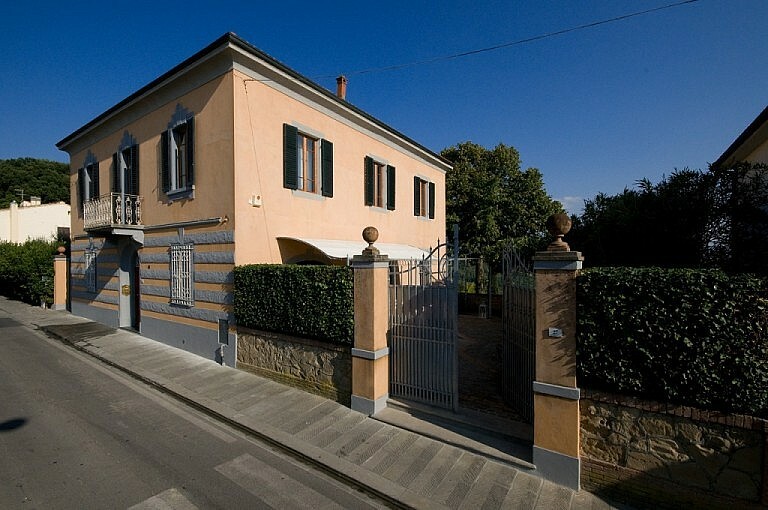 The villa si surrounded by a charming fenced garden hosting a gazebo, a barbecue and a panoramic Italian Loggia with outdoor chairs and sofa and overlooking a swimming pool with Jacuzzi corner. The pool is suitable for children. The frame is completed by the children playground with table tennis and swing. 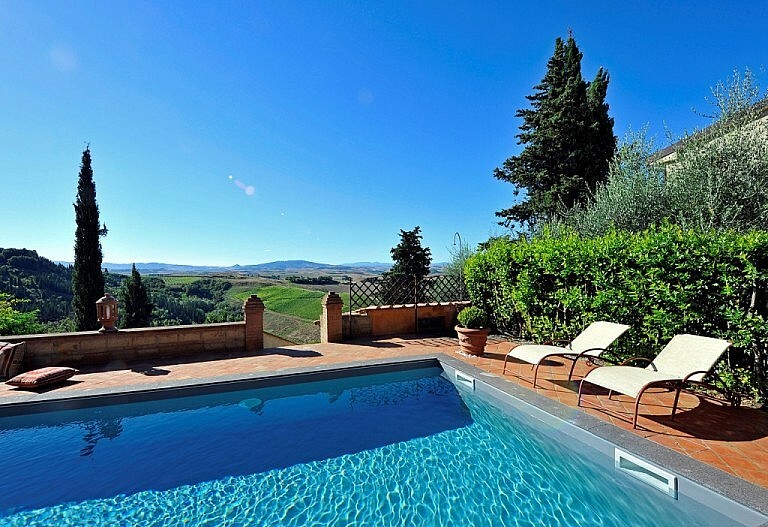 The villa is just 45 minutes driving from the International airport of Pisa as well as from San Gimignano and Volterra or the coastal town Cecina. Florence and Lucca are within one hour whereas Siena is 90 minutes away. 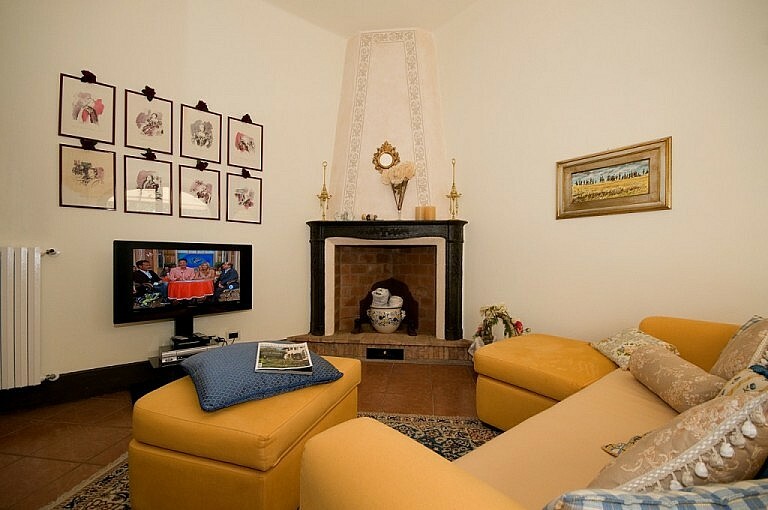 Food shops, bars, a bank, the post office, the chemist and the doctor are all within walking distance from the villa. 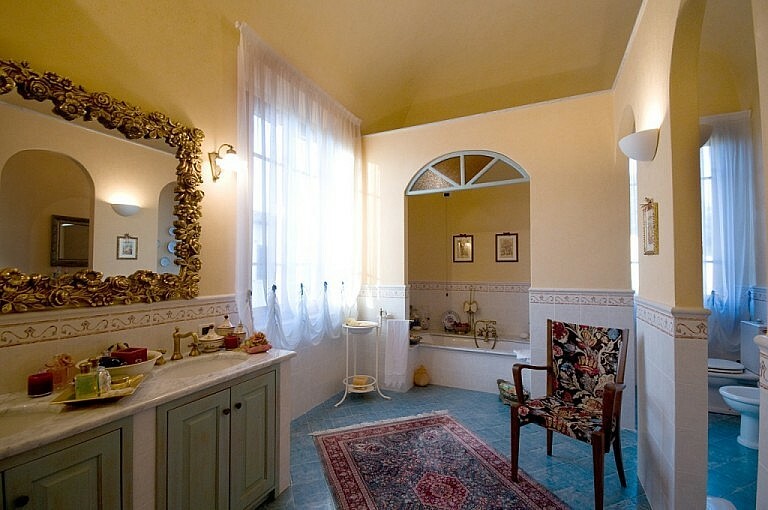 This property rents the whole villa in self-catering. Rates vary according to the season. Please, check rates in the table below. Dear Arianna & Massimo ! 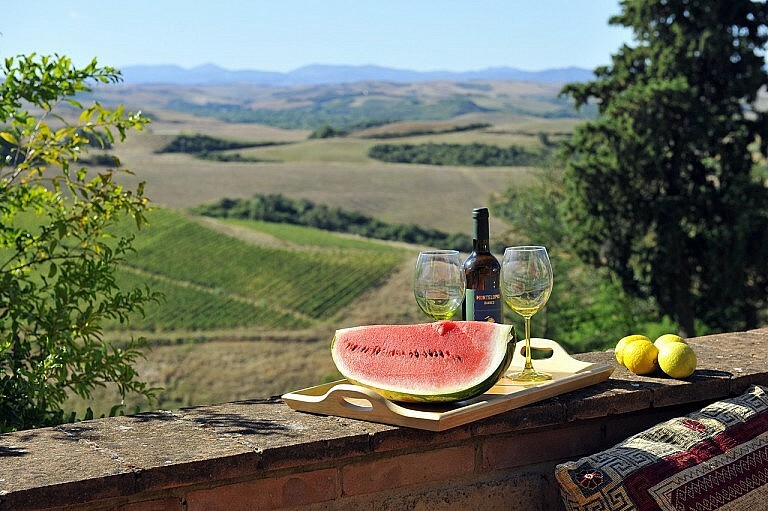 Mario and I would like to thank you for our fabulous toscany trip we had. We appreciated a lot all activities organized by you. The hospitality from Angelina, we felt like home. Special thanks again to Massimo’s gift of olive oil from his family. I can hardly wait to taste it. 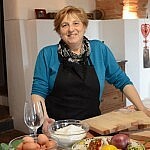 Yesterday night, I spoke with my daughter and she is eager to eat the toscany specialties that we had cooked with you and Ester. As soon as the pictures ready, we will let you know where to get them. 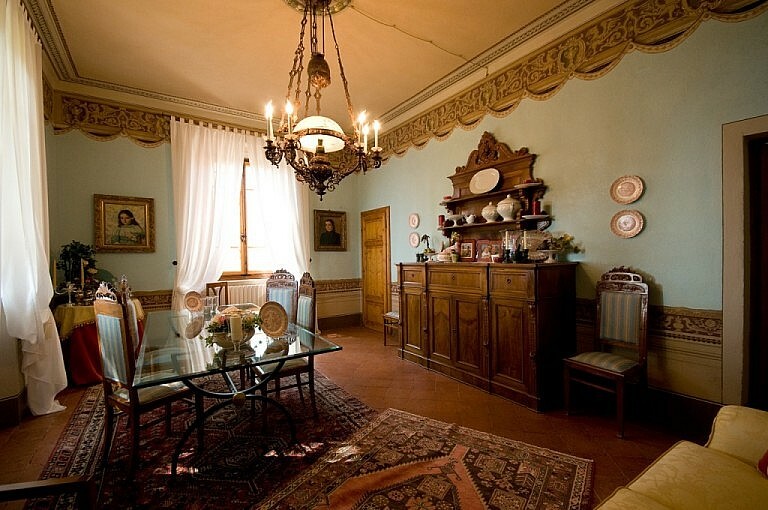 This property is located in the municipality of Peccioli. 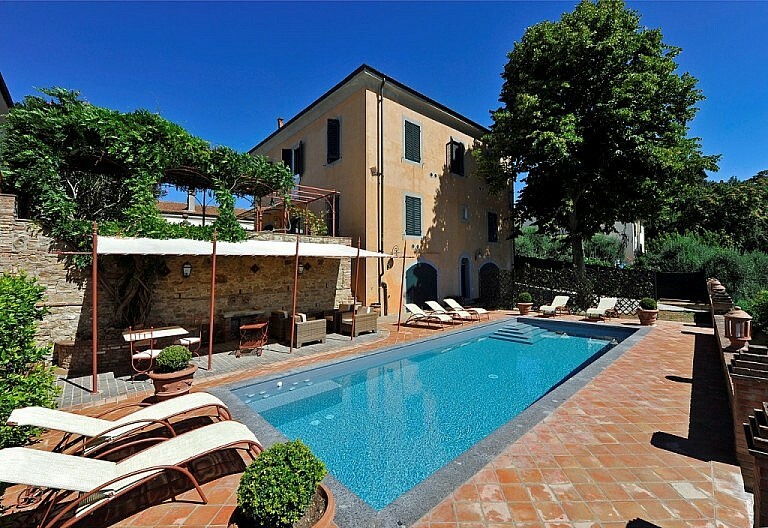 This property is in the Tuscan countryside, an area hardly served by public transport. We highly recommend renting a car to be free to move around. 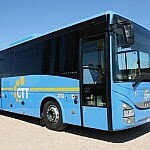 Alternatively, we can suggest booking our valued chauffeur service on board luxury cars or vans. 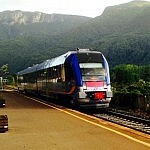 In this property a public bus service combined with a train service is available.